I have been re-arranging and already getting my house ready for fall. Enough summer heat and bugs for me already. So while digging out my found treasures from auctions and flea markets, I thought I'd share a few pics of stuff that I love to collect. 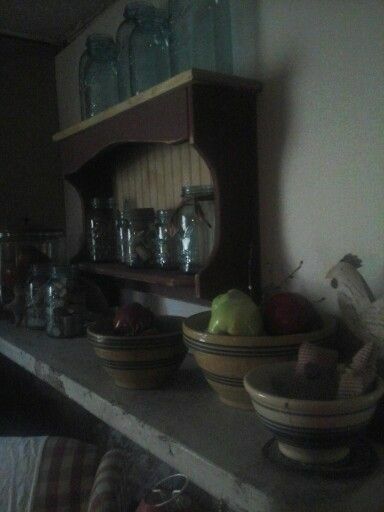 All these items are what makes my house a Country Home. Yes, I love canning jars. I am in the process of putting these in a cabinet. Photos later. And no, not just the blue ones either. But the aqua blue ones really are my absolute favorite. But there is just something about having a bunch of the clear ones sitting around that makes me feel at home. That good ole' country home feeling. 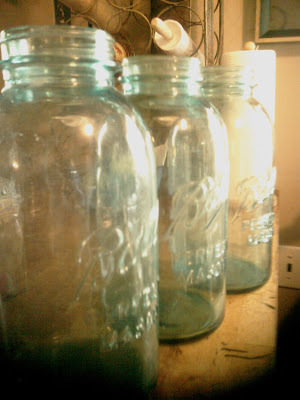 And since I can stain them, like I shared in a previous post, HOW TO STAIN MASON JARS, I love having plenty on hand to work with. 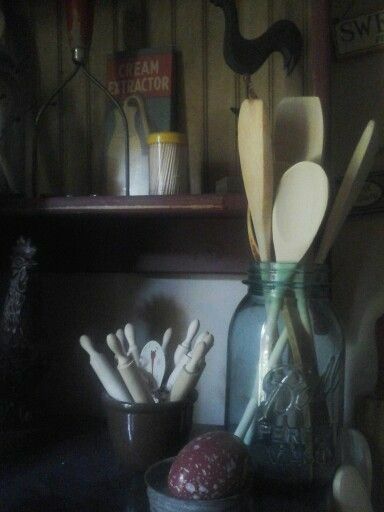 And then we have the wooden spoons and rolling pins that I absolutely love. Here are a few shots from around my dinning room and kitchen. Oh, and the crocks. I love them, but doesn't everyone? 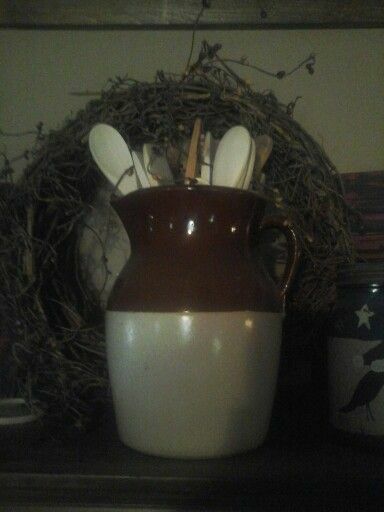 And old pitchers for the patterns and because they can hold wooden spoons lol. 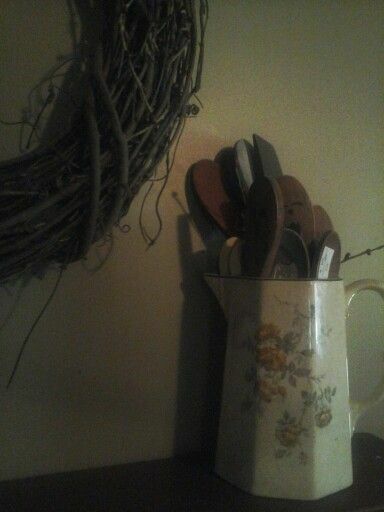 Even the old cracked and broken ones can find a place in my home. 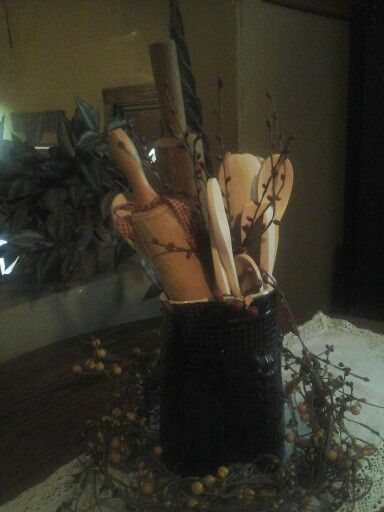 What I love about country living and decorating is that there are no rules. If I like it, I use it. If it fits, it stays there. 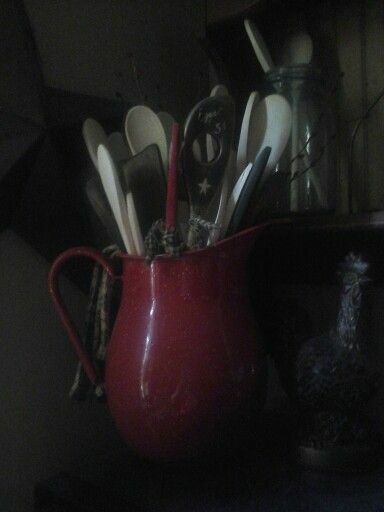 Oh, and I love the red and white enamelware! I am really just starting to collect the plates and such too. 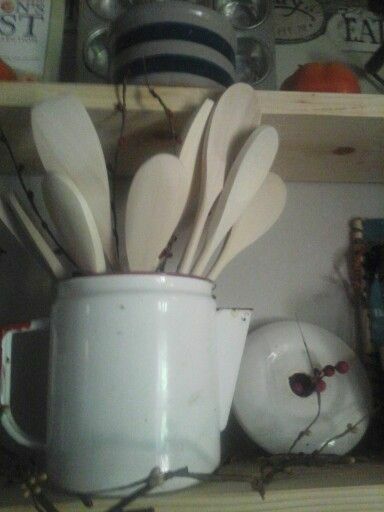 Hum, I'm beginning to wander if I have enough pitchers full of wooden spoons? Now that I am snapping pics, I am realizing I have quite a few. Na, not enough yet! Here's an old coffee pot I also love. And here's some more random shots. 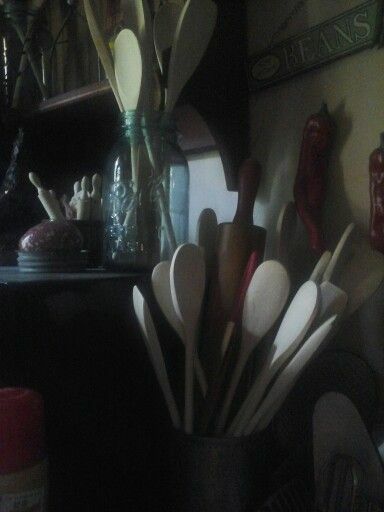 I just really cannot get enough wooden spoons tucked here and there! And rolling pins. What country home doesn't have a few rolling pins here or there? And I think that is pretty much enough indoor stuff for now. I don't want to overload you with my love of the country decorating. So before I go, here's one last thing. It's my favorite outside garden thing. 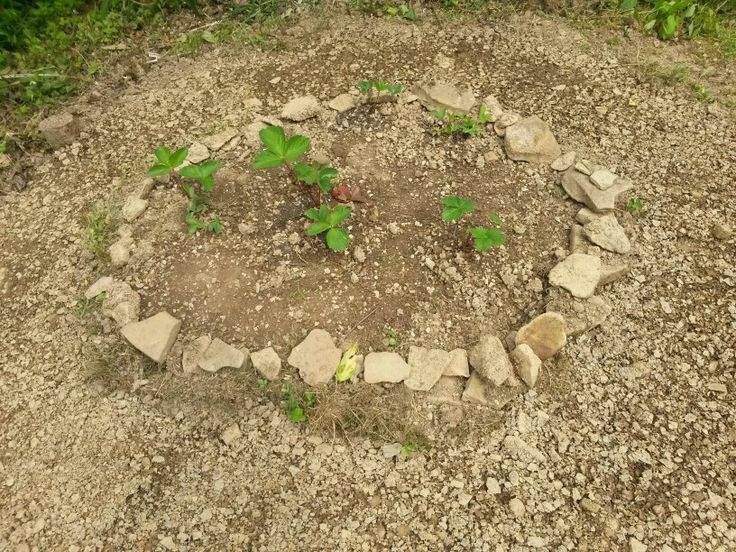 This use to be the entrance to my strawberry garden. Sadly they didn't grow great here, so I moved as many as I could that were left. 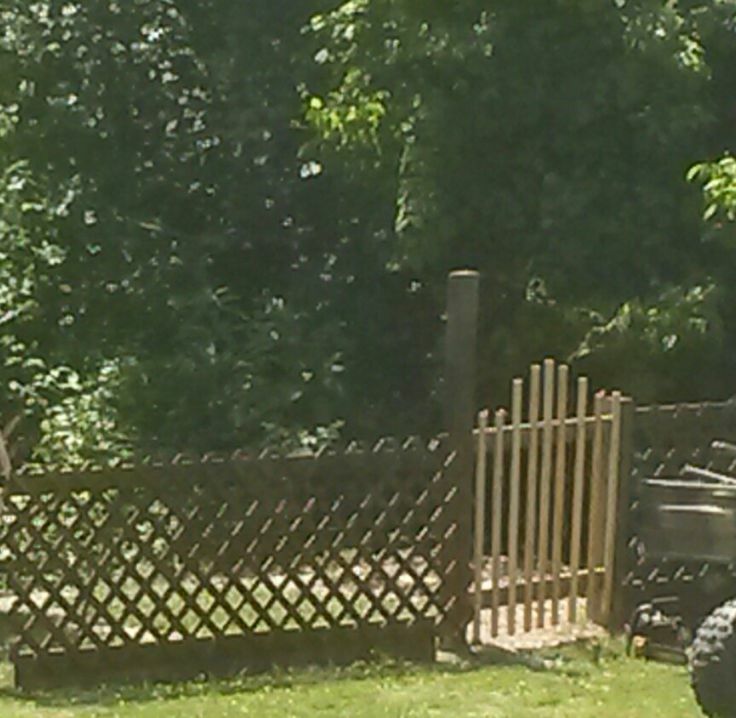 When taking down the fenced in area, (lots of lattice) I had my husband to leave the entrance like so, with the gate. Right now it has tons of morning glories trailing up it. And one more last thing, lol. Here's my country, barn wood fences out front. And here is the backs. I've put some rose bushes behind them now so I can see them from my front porch. 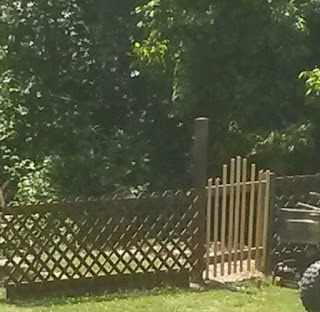 Here is a link to how I made these barn wood fences, if you are interested. Hope ya'll liked these pics of my country decorating ideas. Love, love the pitchers and crocks! 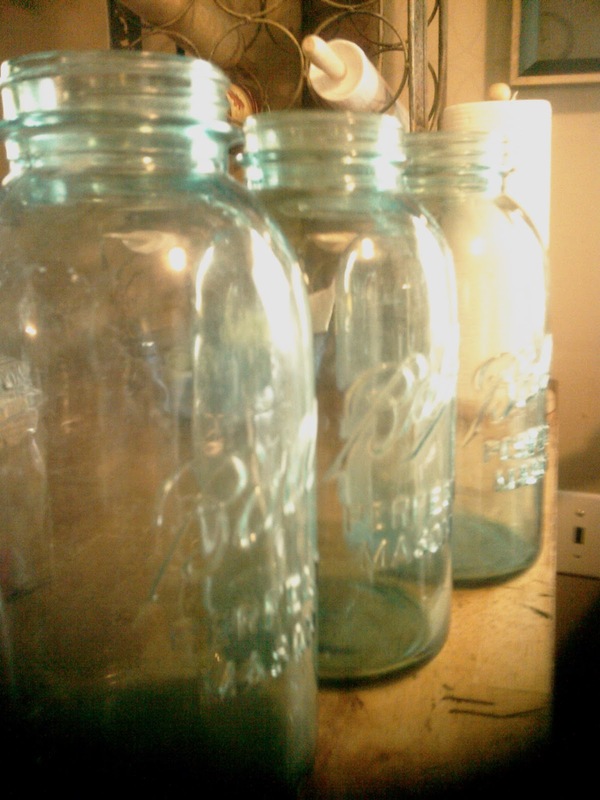 Also love the canning jars. 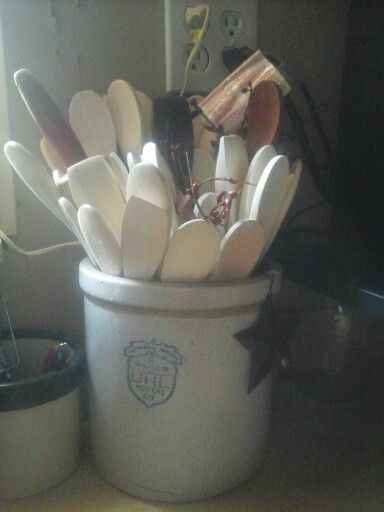 I have quite a few and love to fill them with flowers, in the summer. Thanks Michelle! Yes, they look so good with summer flowers don't they! I just seem to cannot stop buying them when I see them. 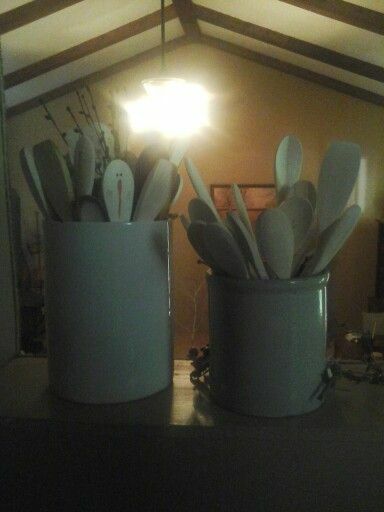 And when I buy the pitchers and crocks I then have to buy more spoons lol. 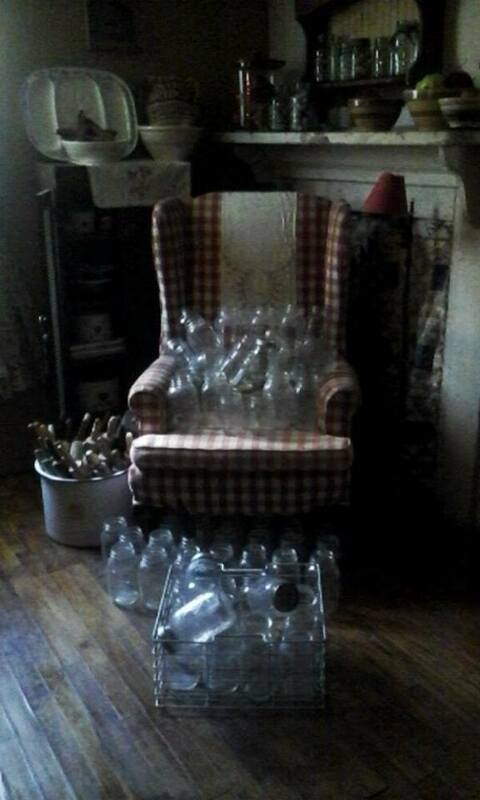 I'm still looking for a cute way to display all the jars. Hi Amy! Yes, I just can't help myself to those. lol. 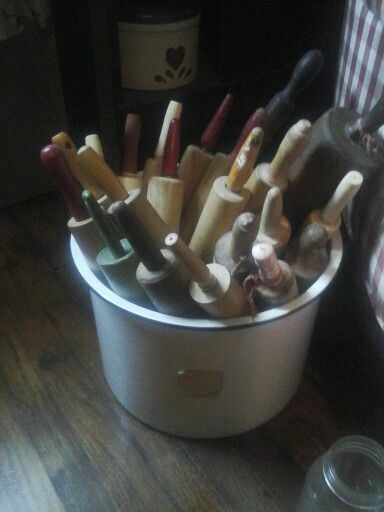 My rolling pins may seem alot but I once "tried" to count my Aunt's rolling pins and I gave up around 700! I will have to go take some pics of hers to share soon! lol. Wonderful ideas and tips! 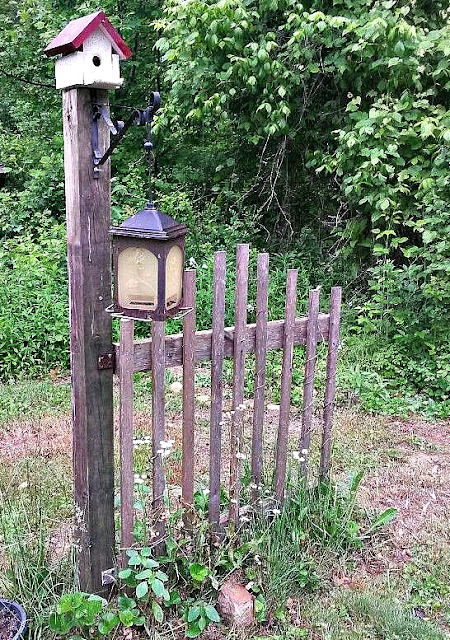 Your garden images are pretty, I like teh gate scene! Have a happy new week! Hi Eileeninmd! Thanks so much! I think the old gate is one of my favorite spots now, lol. Funny how "pieces" of things turn out like that! Have a great week too!! I love your country style, Lisa! 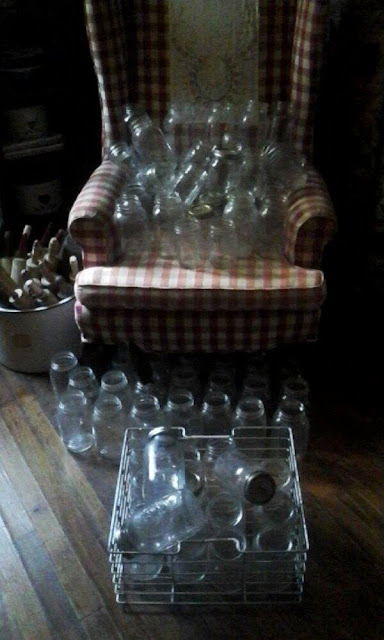 You can't have enough canning jars, crocks or wooden spoons! I always end up using one favorite spoon, though :) Love your old weathered garden fence - so pretty!